XSL Speed Reporter: XSL Speed Reporter's Countdown to Indy (#19): Should the Indy 500 become a non-points event? XSL Speed Reporter's Countdown to Indy (#19): Should the Indy 500 become a non-points event? Draped in history and set on a pedestal of prestige, the Indianapolis 500 is the most prized car races in the world, let alone open wheel racing. Even within the years of the divided open wheel racing series in North America, the Indy 500 reigned above every other spectacle in motorsports as every driver wants their face on the Borg-Warner Trophy. A truly cherished honour to run on the 2.5 mile Indianapolis Motor Speedway, another battle continues to be raged in the race's background. The IZOD IndyCar Series points continue to me counted in this unique event. For day two of XSL Speed Reporter's coverage leading into the 94th running of the Indianapolis 500, this is a chance to pose a question. 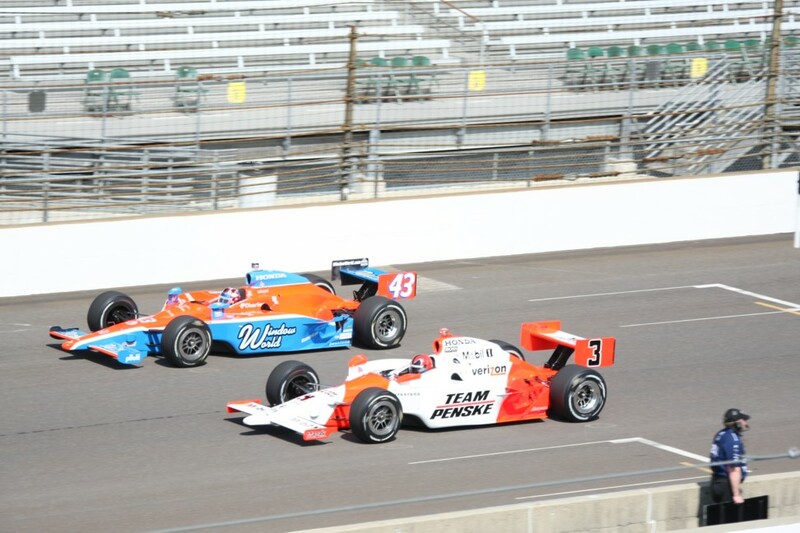 Should the Indy 500 event be excluded from the IZOD IndyCar Series points? 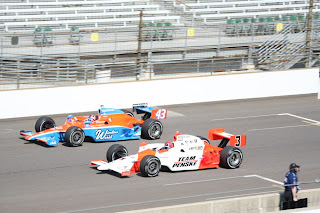 With 14 limited-schedule race efforts attempting to break into the 33-car field for the 2010 Indy 500, it can be argued that these cars possess an interesting advantage over the season-long IZOD IndyCar teams. Without the underlying fear of upsetting their championship hopes, drivers in fearlessness of points will be able to take their vehicles a little deeper into corners and nose forward for that daring (or potentially stupid) pass. Maintained as a non-points event for a long-time, the 24-Hour of Le Mans has remained the pinnacle of sports car racing. With only a grand win at streak, the best of the best drivers and manufacturers devote themselves to being remembered for their Le Mans result. If the season's points battle would be abolished for the Indy 500, the only thing that mattered for the Indy 500 would be the race itself. Through post-World War 2 events, the revered 500 mile race at the Indianapolis Motor Speedway has rewarded drivers and teams in one or even multiple point championships. In the 1950s, the Indianapolis 500 was complicatedly a fixture in the Formula 1 World Championship. While Indy 500 winning drivers within this era was never officially recognized as winning a Formula 1 event, these drivers were able to apply their points to the world championship. When the CART championship was formed in 1979, the Indy 500 was still sanctioned by the existing USAC management. USAC retained their own championship until the Indy Racing League took control in 1996 where points are gathered on a single structure. Despite the long-stemming fears that points can still be up for grabs, the best cars through the open wheel racing series have the habit of surfacing for strong Indianapolis 500 performance. While the IZOD IndyCar Series points hunt remains very hot in the Indy 500, several race winners went on to capture the season's championship which includes a run between 2005-2008. What might aid the cause of the Indy 500 is the race is run roughly 5 months before the season ends. As the Indy 500 stands as a cornerstone to the IZOD IndyCar Series, it remains unlikely that the IRL would consider removing their shining race from the ever important season-long championship. Casting a thought on the Brickyard as a non-points event could surely be turn focus for the Indy cars in the month of May.